Japan’s Nikken Sekkei Civil Engineering Ltd. (NSC) won the first prize at an international contest for the planning design with a scale of 1/5000 in Can Gio district, announced the Ho Chi Minh City Department of Planning and Architecture on October 15. The second and third awards belonged to Engineering firm AECOM Vietnam and Boydens Engineering respectively. Launched in September, 2017, the competition aims to develop Can Gio district into an urban center relaxation and entertainment. The coastal district is about 50km from the city’s center. 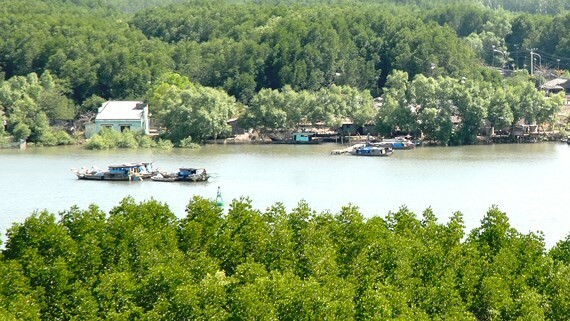 It offers tourist attractions to visitors, such as Rung Sac (Sac Forest) listed by UNESCO as the world biosphere reserve in Vietnam and the Giong Ca Vo ancient site dating back 2,500-3,000 years.